Filling in paper customs declaration cards before landing is now a thing of the past for international travellers bound for Vancouver. As of April 2017, international travellers arriving at Vancouver International Airport (YVR) will use one of the 90 new Primary Inspection Kiosks (PIK) in the YVR customs hall to scan their travel document, take their photo and complete an on-screen declaration before seeing an officer. This is part of the Canadian Border Services Agency’s (CBSA) decision to modernize Canadian borders. 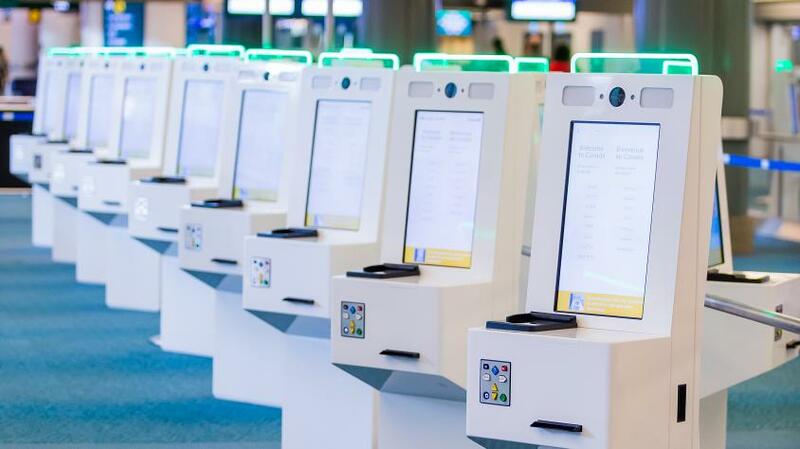 Or, for an even speedier entry process, travellers can complete their declaration on the new CanBorder – eDeclaration smartphone app and scan their quick response (QR) code at a kiosk. Primary Inspection Kiosks will improve border security while streamlining service and reducing wait times at Canada&apos;s busiest airports. To learn more about Primary Inspection Kiosks and the eDeclaration mobile app, watch the video below or visit www.cbsa.gc.ca.